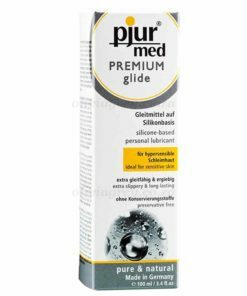 Pjur ORIGINAL Bodyglide Lubricant is one of the most sold silicone-based lubricants in the world which is also suited as a massage fluid thanks to its special formula. You can decide on the right amount for a stimulating body massage as you see fit and enjoy that silky smooth skin sensation – the right choice for exciting moments. Key Features: It naturally tastes neutral and odourless, particularly skin compatible and contains no preservatives. Long-lasting lubricant A few drops suffice Condom safe.